There was laughter and a smattering of applause as Larry sat down. The rest of the country had received satisfying confirmation of the assumed flakiness of the Bay Area. But they liked the name. ESOC’s founders chose the name about twenty years ago to serve notice that they wanted to keep things simple and informal. The majority of members were development officers, with a few trust officers and attorneys. All, it seemed, had had their fill of by-laws and boardroom formalities. Damned if they were going to create another group where they would be expected to be polite, orderly, paper-ridden, and committed to a schedule. They were polite and orderly anyway. But from its early meetings at the University of San Francisco, then later at the San Francisco Tennis Club, the group had a maverick edge to it. The leadership, if not all the members, were unfazed that ESOC had no rules of order, no calendar for the year, and nobody with the title of president. “Convener” was just fine. Luncheon speakers were often hastily recruited, sometimes when the convener glanced at a day timer and was startled to discover the next luncheon was coming up in a week or two. As membership grew, committees were formed and educational goals set. 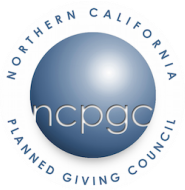 Gradually, the sharply defined Northern California Planned Giving Council, complete with by-laws, mission statement, and detailed budget, emerged out of the pleasant fog that was ESOC, with part-time administrator Brenda Payne hired in 1992 to support and complete the transition. Like a vestigial tail, the initials “ESOC” still follow the more onerous “Northern California Planned Giving Council” in some of our publications. The tail may fall off some day. May it hang on a little while longer, wagging mischievously. Phil Murphy, a past-convener of ESOC and past-president of NCPGC, submitted this unauthorized history of ESOC.